A bill that would strip the power of local governments to pass sick pay ordinances cleared a Florida Senate committee this week. 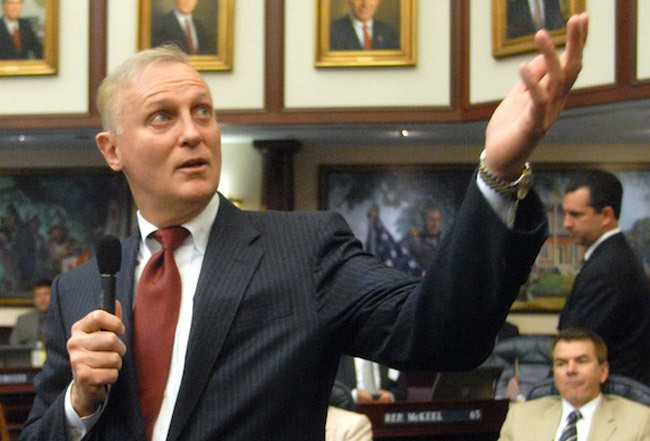 State Sen. David Simmons, R-Altamonte Springs, is pushing the bill that would prevent local sick time ordinances from going into effect in several Florida cities. The law is intended to thwart efforts to pass labor-friendly laws in local governments, since state-level labor reform is beyond reach with the anti-labor, GOP-led Florida Legislature. This reasoning is similar to that behind behind Simmons’ anti-wage theft bill, which would have outlawed Miami’s ordinance prohibiting employers from withholding earned wages from an employee. Earned sick time measures are currently pending in Orlando and Gainesville. In Orlando, local lawmakers thwarted a citizen-led initiative to put paid sick time on the ballot last year. However, a judge ordered the county to put the measure on next year’s ballot. Some of the commissioners who kept the measure off the 20121 ballot were communicating with lobbyists representing companies opposed to the measure, which included Darden Restaurants and Walt Disney World, both based in Orlando. For now, Orlando’s paid sick time measure will be on Orange County’s August 2014 primary ballot.